Alabama is a state well loved for the friendly and hospitable nature of its residents. Here are some trivia and facts about it to get you acquainted on this fabulous state. It will make your visit more interesting. The Mardi Gras was introduced by Alabama to the Western World. This celebration is held every Shrove Tuesday, a day prior to the start of Lent. It is the workers of Alabama who built the 1st rocket ship that made it possible for humans to finally set foot on the moon. In the year 1886, in Montgomery, the 1st Electric Trolley System in the world was introduced. Alabama is regarded as the only state having all the major natural resources required for making steel and iron. In fact, it is considered as the largest supplier of steel and cast iron pipe products. Montgomery is noted as the birthplace and capital of the Confederated States of America. In the year 1861, in Alabama, the Confederate flag was initially flown and designed. 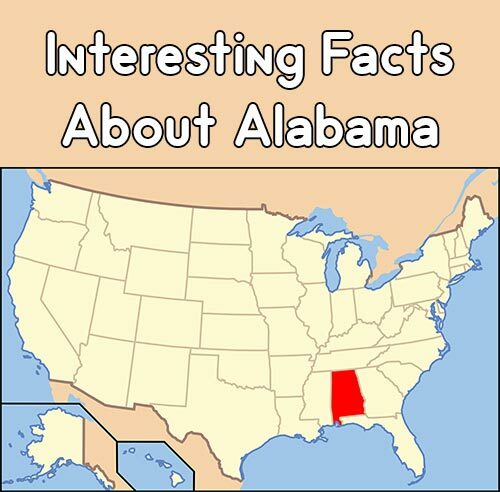 Last December 14, 1819, Alabama was declared as the 22nd state. To encourage farmers to grow crops besides cotton, the town of Enterprise housed the Boll Weevil Monument so as to acknowledge the role of such destructive insect. Henry Louis “Hank” Aaron, the famous baseball player, was born in the year 1934 in Mobile, Alabama. Joe Louis, the famous boxer, was born in the year 1914 in Lexington, Alabama. He died in the year 1981. Willie Howard Mays, the famous baseball player was born in the year 1931 in Westfield, Alabama. In Russell Cave, they discovered a skeleton of a pre-historic man. The world’s rocket capital is Huntsville, Alabama. The oldest archival state-funded agency in the entire nation is the Alabama Department of Archives. In the year 1937, the state sales tax was instituted to help fund the education system in Alabama. In Mobile, the schools established include the Huntsville Green Academy and the Washington Academy. This was founded in the year 1812 and 1811 respectively. Alabama’s first territorial capital is Old Saint Stephens established between the years 1817and 1819. The Army Ballistic Missile Agency was reportedly established in the year 1956 at the Redstone Arsenal in Huntsville. Governor George C. Wallace was said to have served about 4 terms in office. Heather Whitestone served as the 1st Miss America having a disability, in the year 1995. In Bessemer’s Hall of History, you will find an exhibit of the typewriter of Hitler from his noted mountain retreat. The 1st psychiatrist of the state is Peter Bryce, born in the year 1834 and died in the year 1892. The official state mineral of Alabama is hematite, an oxide of iron or Fe2O3. The official insect of the state is the Monarch Butterfly or the Danaus Pleipuss. The official gemstone of the state is the star blue quartz. The official fair of Alabama is the Florence Renaissance Fair. Alabama became the 4th state to have seceded from the Union last January 11, 1861. In the year 1919, famous entertainer and singer Nathaniel Adams or Nat King Cole was born in Montgomery. He is regarded as “the man with the velvet voice”. He died in the year 1965. Angeles takes about 19 hours. Alabama’s oldest county is Washington County. In the year 1814, General Andrew Jackson was able to defeat the Creek Indians. Subsequent to this event, Native Americans were able to cede almost half of the present state to the US. Thanks for reading and be sure to share this info with your friends using the social share buttons below. Talking about social stuff, consider liking ourFacebook page to keep up to date with our articles. Check out our other articles for more mental scoops!